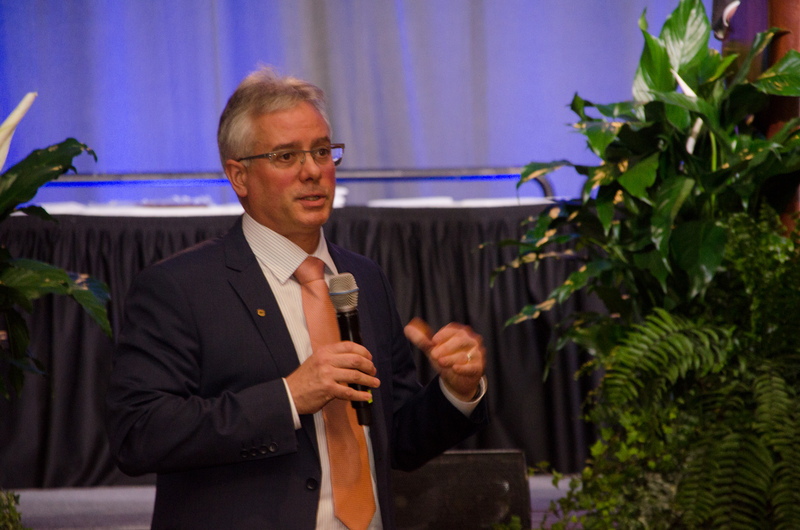 Focusing on cooperation, approximately 400 members and guests gathered for the 102nd Annual State Delegate Meeting of the Michigan Milk Producers Association on March 15 at the Lansing Center in Lansing, Michigan. 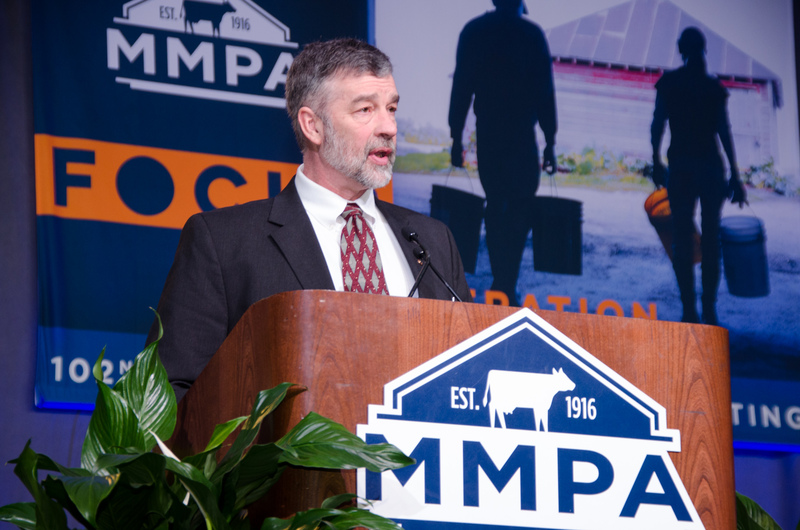 MMPA President Ken Nobis provided an update on industry and MMPA activities, including a discussion on controllable vs. uncontrollable issues the cooperative contends with in the dairy industry. 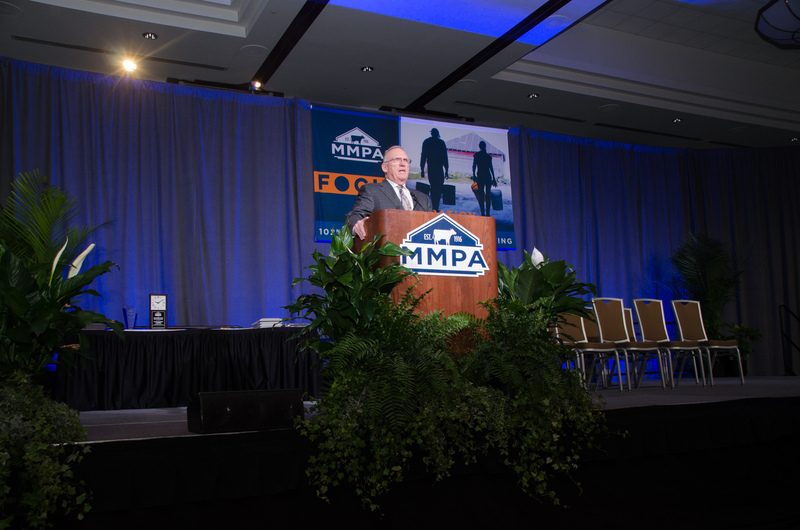 MMPA Treasurer Eric Frahm presented MMPA delegates with a report on the co-op’s financials results from fiscal year 2017. The report emphasized the continuation of MMPA’s strong financial position which is poised for future investment opportunities. 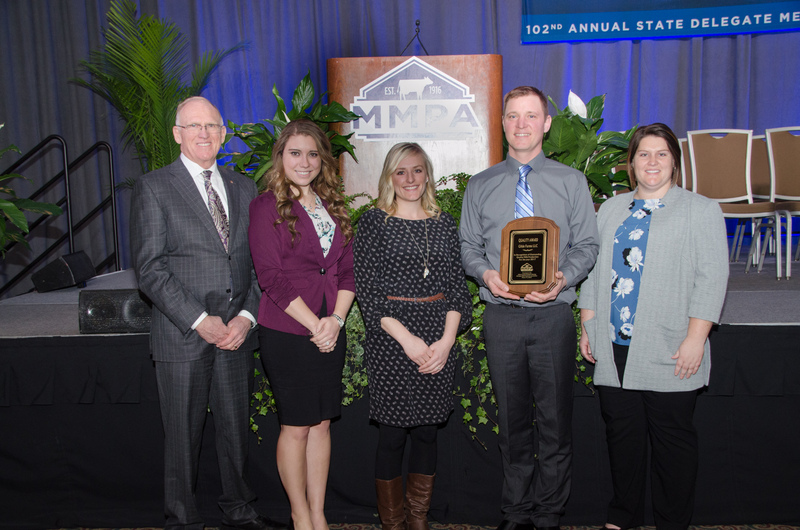 MMPA Board Member Gertie van den Goor (center) and Ken Nobis (right) introduced the 2017 Top 10 Outstanding Young Dairy Cooperators (OYDC) at the meeting, including 2016 winners Darrin and Barbara Siemen (left), of Harbor Beach, Michigan, and 2017 winners Nate and Jenny Elzinga (center, right) of Zeeland, Michigan. 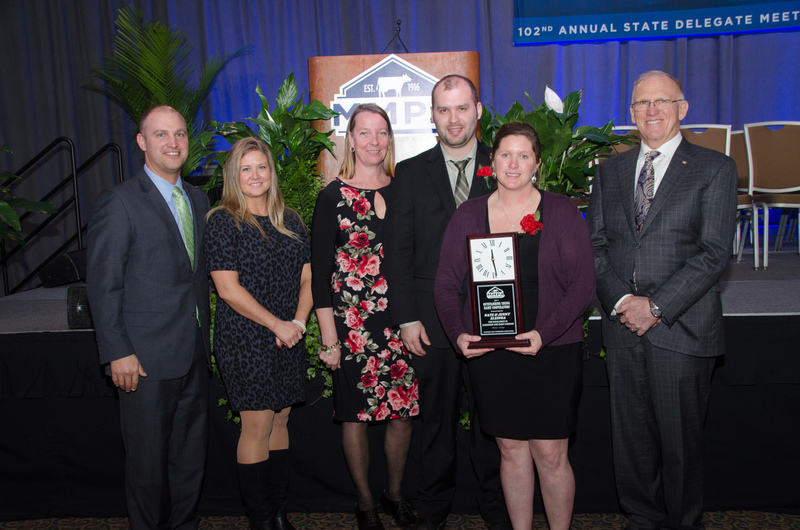 MMPA President Ken Nobis (left), Member Representative Deb Gingrich (second from left) and Northwest Area Supervisor Sarah Michalek (right) presented Erin and Nathan Gilde (center) of Lake City, Michigan, with the highest quality milk production award. 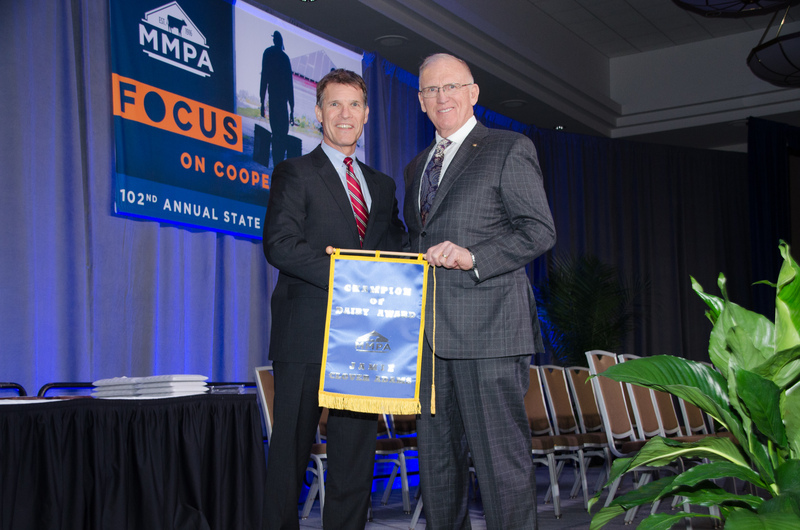 MMPA President Ken Nobis (right) honored former director of the Michigan Department of Agriculture and Rural Development (MDARD) Jamie Clover Adams with the Champion of Dairy Award in recognition of her work for the industry through her tenure at MDARD. 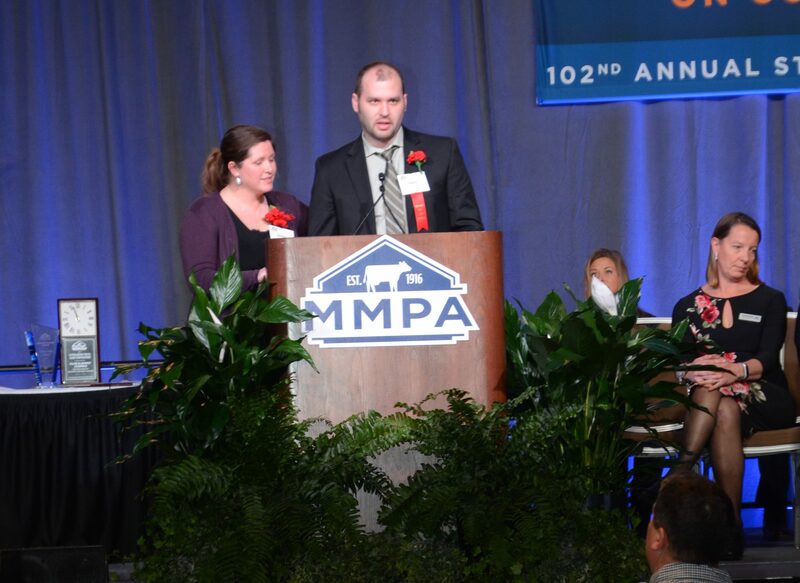 Clover Adams was unable to attend so current MDARD Director Gordan Wenk (left) accepted the award on her behalf. 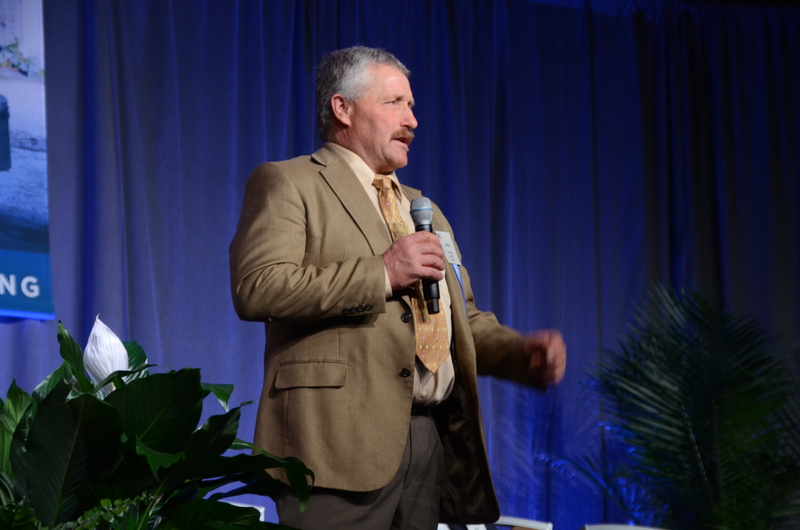 Business conducted by the delegates included the adoption of the 2018 MMPA resolutions and election of Carlton Evans of Litchfield, Michigan to the board of directors in a three-year, at-large position.